Now he’s a hedge fund manager. 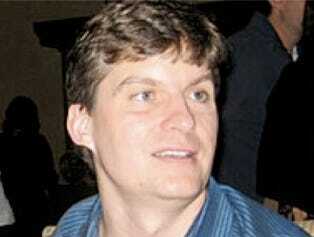 10 years ago Michael Burry was studying to become a doctor.The change started when Burry’s father died in 1996. Burry took over the household finances while he continued studying to become a doctor at Vanderbilt School of Medicine. He had only partially completed his residency in neurology at Stanford Hospital when he quit to launch a hedge fund, Scion Capital. The main reason he made the jump was the attention he got from readers of his online blog, valuestocks.net, where Burry posted his stock picks late at night after his shift ended. It was an unlikely start. John Bogle poked fun at him in a Forbes article, The $500 Billion Hedge Fund Folly, back in 2001, after Burry had just launched his fund. The man is an easy target. He has a glass eye, Asperger’s syndrome, and he’s into heavy metal. Anyway a few years later, Burry started shorting subprime. He returned 166% to investors in 2007. So you can stand up now.